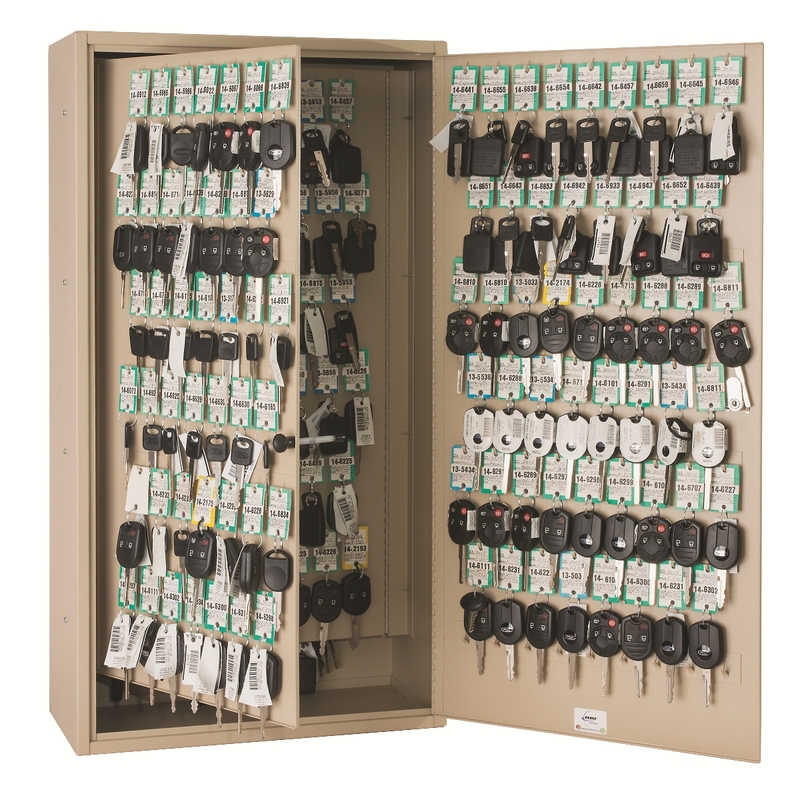 This Steelmaster key cabinet from MMF for cars, trucks, SUVs and RVs is specifically designed for automobile dealerships. 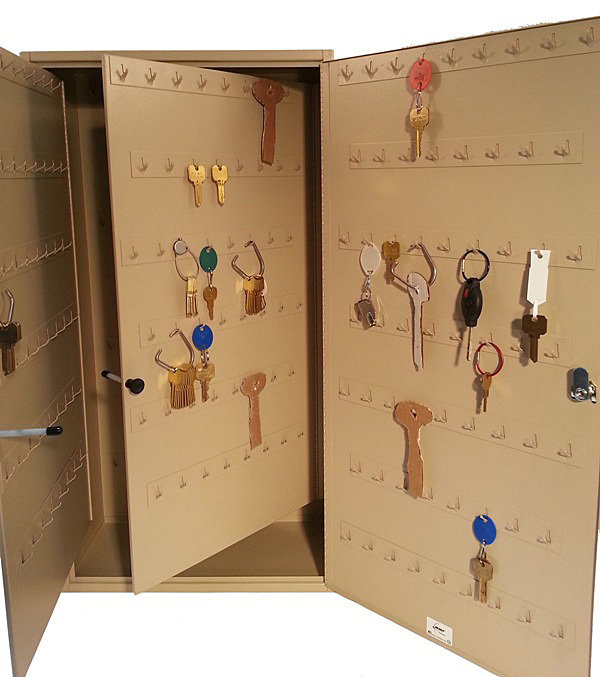 This configuration has a total of 220 hooks, which includes 1 panel with 90 hooks in addition to the front door with 60 hooks and cabinet back wall with 70 hooks. 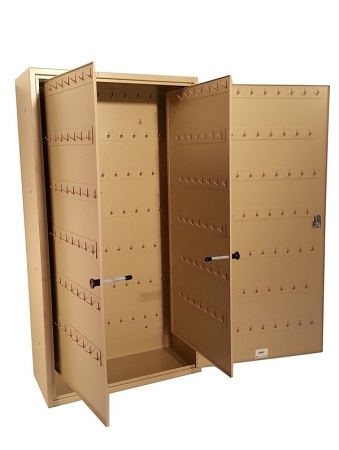 The cabinet is also available without the panel or with two interior panels providing auto key cabinets of 130 and 310 key capacities, respectively.